One of the selling points for us with our house was the garden. It is a decent size for the area we live in and was nicely landscaped by the previous owners. But there was one spot that was a bit of a dumping ground. Between the back of the shed and the compost heap was a mini wasteland. Damp, dark, overgrown and housing all manner of garden junk, we opted to ignore it for the past five years. Last weekend we finally got started on clearing the dumping ground and the Bavarian threw himself into coop building, ably assisted by Bat Boy. Once my husband gets a project going, he gets a tad obsessed with it. This time that is a good thing. 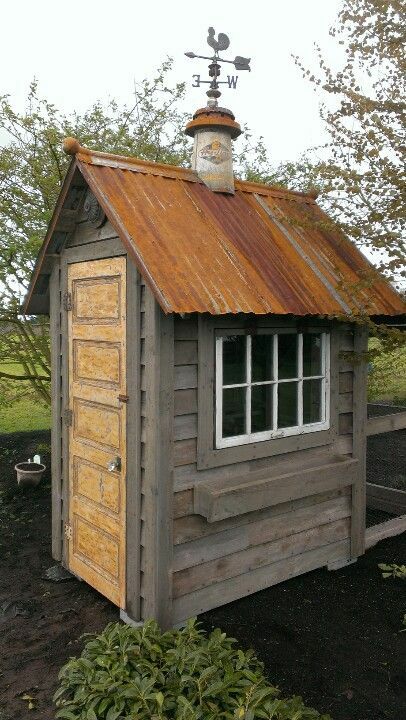 While he’s been trekking back and forth between the DIY store, the shed and the saw mill, decorating the car with “man glitter” (sawdust), I have between browsing Pinterest, looking for inspiration for the exterior of the coop. Obviously we had a rough plan before we began, but that mostly concerned location, size and where to put the door – left, right or centre. Before anyone asks, no, The Bavarian didn’t turn round and stand on the spade in slapstick fashion. What I have been concentrating on has been more to do with making the chickens feel at home here. They are ladies, right? So they are going to want their new home to look pretty and feel comfy. Pinterest ist bursting with ideas. 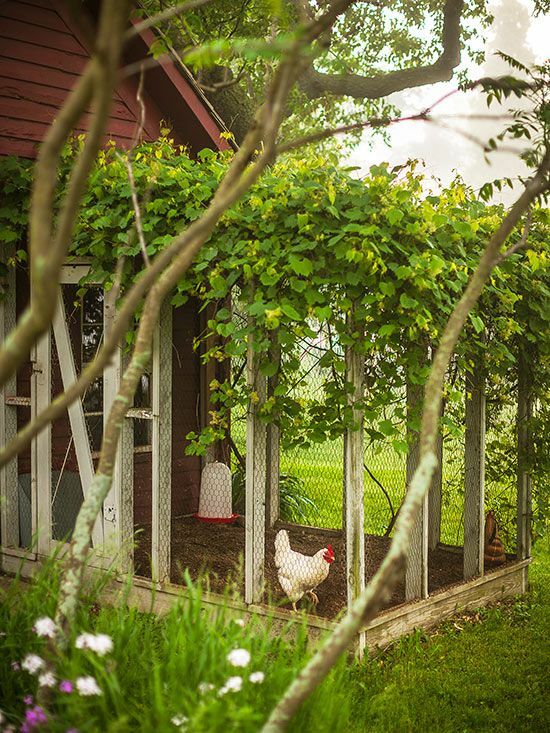 I would love our chicken coop to blend into the garden as well as this one does in its surroundings. It even has an oxblood-coloured in the background, like ours. And this one with all its salvaged elements is really my kind of thing. We have more or less decided to use one of my salvaged shutters as the door. The little window I salvaged last year may also get integrated into the design. With a coat of white paint, it would tie in well with the shutter door and have a similar look to many of the photos I’ve been inspired by. The roof will most likely be tiled with old roof tiles the previous owners of the house left behind. Plus window boxes of hanging geraniums are high on my list. We have tons of window box fittings, inherited from the previous owners too, so there is no extra expense there. 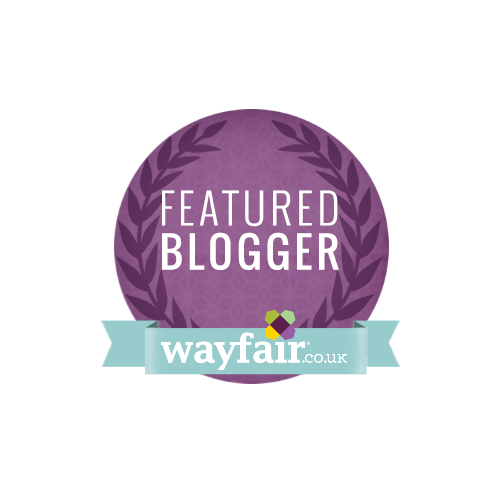 Pop over to Pinterest and have a look at my board ‘On Keeping Chickens’ to see where I’ve been getting my inspiration from. Folge Three Sonss Pinnwand „On Keeping Chickens“ auf Pinterest. Fingers crossed the actual business of keeping chickens will live up to our expectations after all of this! If you have any tips (or warnings) for us, we’d love to hear them. Just leave a comment below. Thanks Lizzie. For smaller spaces you can set up chicken tunnels. They sound odd, but seem to be a good idea. Look them up. I am so excited about this. There will definitely be a follow up post. How exciting! My son really wants chickens, he’d love it if we built a coop. Yours is coming along great. I have heard that they are easy to keep and will become very tame. I love the phrase man glitter. I am totally using that! The whole family is so excited about the coop build and the chickens moving in soon. It is so nice to have a family project again. The Bavarian picked the phrase “man glitter” up somewhere. Great, isn’t it?! Thanks Katy. I’m hoping we don’t have to deal with a fox. But The Bavarian is a hunter, so at least he knows a few tricks to keep them away. Aaah SO excited for you!!! I went on and on about having chickens for YEARS! In fact, one of the prerequisites of buying another house was that it had space for chickens. And they absolutely do not disappoint!!!! I’m happy to say that owning chickens is just as lovely as I’d imagined. Apart from, if they’re free ranging, they sh*t all over your garden and eat all the new plants!! Ours will get locked in their pen in a couple of week’s time. Treading on chicken poo in bare feet is not good. I’m delighted to hear it lives up to expectations. We’ll see how the kids react to them before having them free range I think. The run is pretty big and there is plenty of garden produce to feed them on, so I’m hoping they will be pretty happy even in their coop. I may get back to you with a few queries as time passes. I can’t wait for the eggs Jess. I had breakfast with a neighbour recently and had a boiled egg from her hens – the flavour! I had forgotten eggs could taste so good. The salvaged coop look is my favourite. 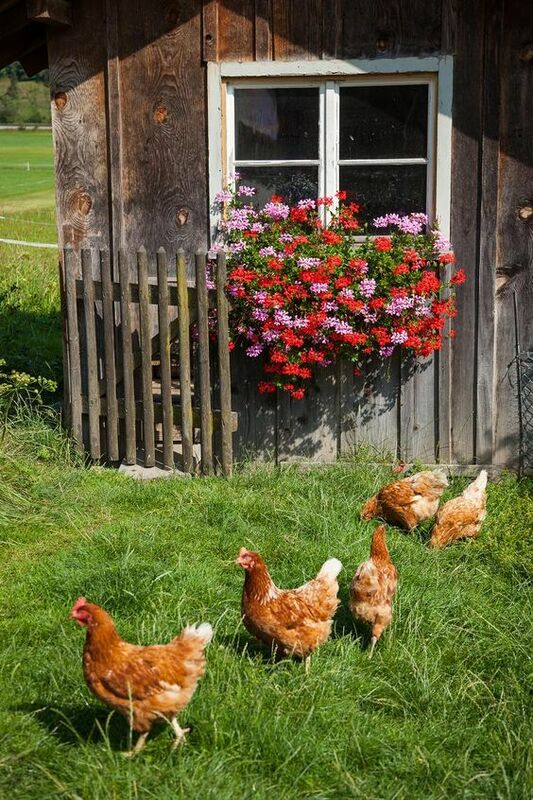 An old colleague had her own chickens and I think they just went for a basic chicken coop with run and let them wander around the garden as much as possible so we didn’t have the exciting part of helping her plan the aesthetic of it when she was prepping the garden. If only I’d known there was a Pinterest board for that 5 years ago! Mine too Kay, That is the look we have gone for in the end. All will be revealed here soon. It is incredible what you can find on Pinterest these days. Thanks Stephanie. It looks like they’ll be moving in any day now. The shed and run are finished as of today! I love this! I’d absolutely love to have chickens and we often buy eggs from people who own them that my fiance knows at work, but to be able to look after the chickens yourself and have your own eggs would be amazing! I can’t wait to see what the finished coop looks like and your adventures of keeping chickens once you have them! Thanks. There’ll be an update shortly. I am really hoping that having hens will live up to our expectations. Not much got done this week due to a lot od work and a lot of rain, but hopefully the chickens will be moving in soon. That’s great for Monkey that he can enjoy your neighbour’s chickens. We’ve been keeping chickens for two years now and they’re like part of the family!!!! One of them – Lucy, is far too cheeky and comfortable and can regularly be found trying to get inside if someone leaves the gate open!!! Enjoy! Ah,that’s great to hear Ciara. I may have to pay you a visit in the summer on our trip home and get some advice, depending on how we get on with ours.